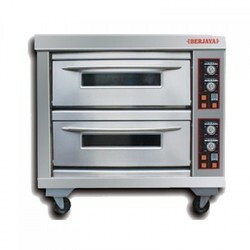 Manufacturer of a wide range of products which include berjaya deck oven, berjaya 20 l planetary mixer, vacuum sealer machine and vacuum packing machine. Baking Capacity 4 Trays of Size - 24" x 16"
* 5kg Max Dough Capacity means maximum weight after flour pre-mixed with 50% of water. 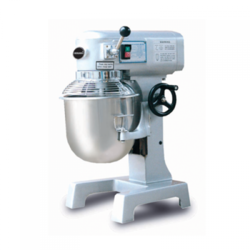 Machine body:Stainless steelVacuum Pump:4mc/hSize:444 x 477 x 210h mmVacuum chamber dimensions:303 x 293 x 110h mmWeight:22 KgVoltage:230V 50/60HzChamber volume:7,65 ltMaximum power absorbed:240 WMaximum bag size:250 x 300 mm Evox 25H perfectly packages products in bags or in practical, reusable containers. 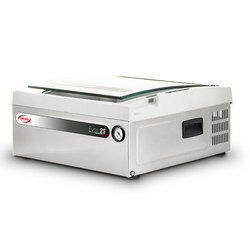 The transparent tempered glass cover allows better product visibility during packing. Evox 25 features: 4 sealing levels, H2Out pump dehumidification program, external vacuum accessory (Easy), 8 m3/h vacuum pump, and 260 mm long removable sealing bar. A surprising result, it was able to exceed our most ardent aspirations. Evox 30 completely innovates the vacuum concept, summing up the best of the technology, innovation, industrialization, and simplicity of use. Compact, ergonomic, and equipped with a sensory vacuum, the sensor-controlled vacuum packer Evox 30 is characterized by ease of use combined with extreme versatility, allowing the creation of internal and external vacuums with surprising speed. In the version equipped with a 12 m3 vacuum pump, the complete vacuum cycle times are extremely quick and even those of any competing machine. The materials that make up the sensor-controlled vacuum packer's vacuum chamber and cover are completely innovative. Orved used significant economic resources to achieve a true result, absolute excellence. 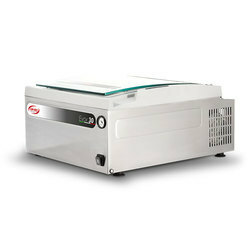 Evox 30 assembled with dedication by the most experienced manufacturers in the industry and designed to meet every need, has a vacuum chamber made of the most innovative MATERIAL THAT HAS EVER BEEN USED TO BUILD A VACUUM PACKING MACHINE.